Don’t Wait. Vaccinate! 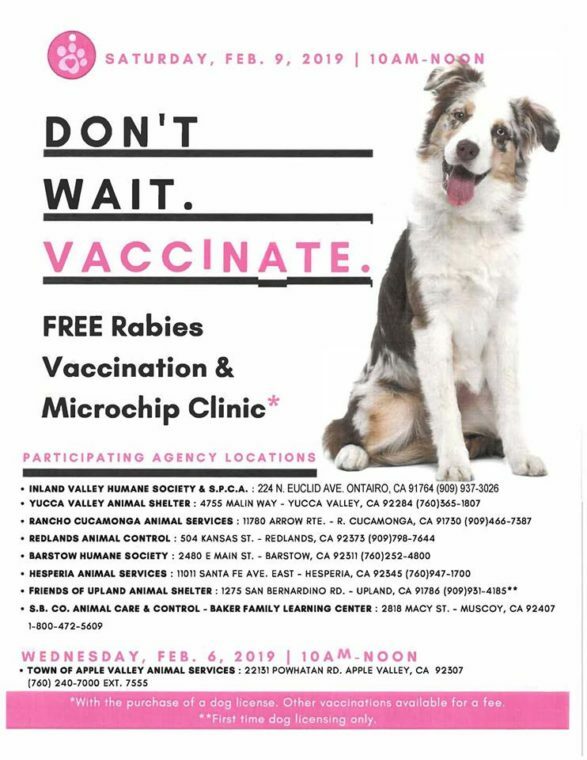 - Inland Valley Humane Society and S.P.C.A. *With the purchase of a dog license. Other vaccinations for a fee.